I saw that O'Brien's house in BC is going up for sale and for those that may have stayed with him know about his wild home. 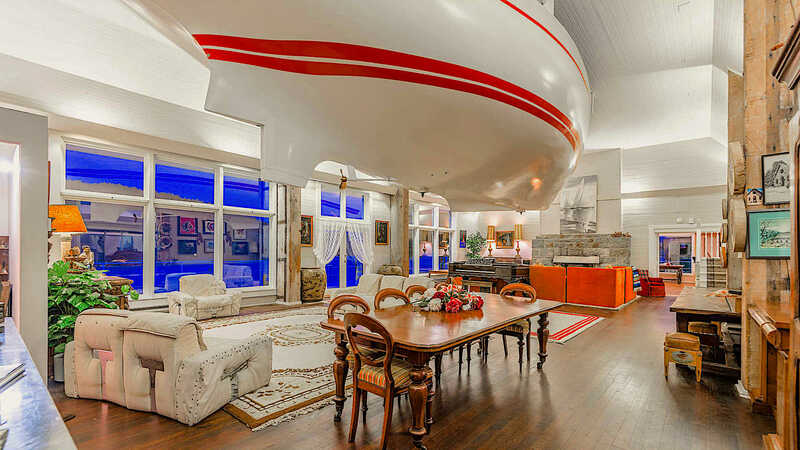 This place has a Cooper racing hull fitted to his dining/living room. That's very cool. I have only a Walker towable log, an old sextant and a half hull model. Perhaps a complete hull would be a good addition.